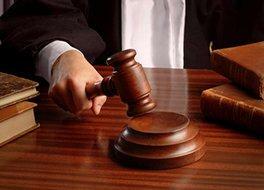 Home > What is the Largest Verdict in a Los Angeles Personal Injury Case? When it comes to personal injury lawsuits in the state of California there have been many that have been in the hundreds of millions of dollars range. The largest verdict was $28 billion dollars. This was a case in which a lawsuit was filed against Philip Morris, the cigarette company that makes Marlboro and L&M. What Evidence Helped the Case? One of the reasons the jury was willing to award this amount was because the then CEO sent a hand written note to the scientists stating that he wanted anything done to make the cigarettes as addictive as possible. He would then bury the evidence of the research in his backyard. The personal injury lawyer was very skilled as he asked the CEO if he had been known for “burying evidence”. There was an objection and the courtroom erupted. On the very next overhead slide, the lawyer had a copy of the letter that discussed burying the evidence. When it comes to car accidents, truck accidents or negligent security guards there are many cases in which a single plaintiff is awarded a large sum of money. Remember that each case is different and it is important to contact a personal injury lawyer that has experience and resources to help better understand if it is worth it to file a claim today. Feel free to contact the Law Offices of David Azizi at 1-800-991-5292 to discuss this and more with a Los Angeles personal injury lawyer.